This is the first of a three-part series that analyses India's transport aggregation sector. In India, cab aggregators like Ola and Uber have dominated the transport aggregation market. Their offerings have expanded beyond taxi services to new businesses such as food delivery and other transport verticals such as bikes and autorickshaws. While Uber is experimenting with flying taxis and Ola is expanding to overseas markets, other transportation segments—bus, bike and autorickshaw—remain an untapped opportunity in India and are still in the nascent stages. The reasons for this lack of growth are manifold, ranging from affordability, a difficult regulatory environment to an absence of last mile connectivity. Personalised mobility, comfort and convenience were the magic formulae that worked for cab aggregators. Besides these, the concept was aimed at a young demographic, which readily accepted the opportunity. But the backbone of the cab aggregation business was the discounting game, which made it financially viable and affordable for its users. “For reasons of comfort and convenience, people prefer cab hailing because it takes you to point A to point B straight. The growth so far is also based on the fact that cabs were somewhat affordable as the companies were in growth mode and offered significant discounts to attract customers,” said Kavan Mukhtyar, partner and leader of automobile at consulting firm PricewaterhouseCoopers India. The vast amounts of venture capital money that went into the sector and the uptake in the service resulted in a friendly regulatory environment in India. A sign of the growth in the cab-hailing sector is the number of daily rides the Ola and Uber have clocked. With 5-6 million cabs in their fleet, as of mid-2017, Ola was doing about 1.6 million rides a day and Uber registered 1.2 million daily rides, according to VCCEdge, the data research platform of News Corp VCCircle. Since 2012, many startups tried to mimic the success of the taxi-hailing firms in the bus aggregation space, but most died down quickly. Even Ola had to abruptly shut down its bus pooling business ‘Ola Shuttle’ in February this year. Despite the closures, two firms have emerged as the strongest survivors—Bengaluru-based ZipGo and Delhi-NCR-focused Shuttle. Startups in this sector face a number of challenges, including the unorganised nature of the segment and lack of availability of buses to meet the high demand. Besides these, companies do not make full use of their assets. In other words, they deploy their buses only during rush hours as that is when demand is at its highest. For the remainder of the day, many lie unused. Plying buses on routes in the most cost-efficient manner and determining the last-mile connectivity are core issues that these firms are only beginning to find answers to. But perhaps the hardest challenge of all could be fighting the public perception that buses are cheap. Buses as a mode of public transport have been heavily subsidised by the government and companies in the segment can only survive if they charge users premium rates. Severely outdated regulations, a monopoly by state governments and licencing requirements are key issues that need to be fixed in the bus transport sector. Regulations are unlikely to arrive for at least a couple of years which also block the chances of this sector growing significantly enough to force policy changes. The use of technology is negligible, while safety standards, vehicle maintenance and other job training and education are non-existent. “The state governments primarily run the show. It could be well-managed if individual private owners are allowed to offer a better quality service, while the state, through technology, can be a monitoring agent. It’s also an opportunity for governments to save themselves from these loss-making depreciating assets. It’s a classic case of policy hindering innovation,” said Aman Kumar, chief business officer at market research firm Kalagato. India has a large two-wheeler economy. Bike taxis can help people beat the traffic to an extent and are a relatively cheaper option as compared to a cab service. It is also a good value proposition for a two-wheeler owner to put his vehicle on a platform to earn extra income. However, the uptake of the service suffers from regulatory hurdles, lack of funding, operational challenges and a cultural misfit. In India, people commute on bikes that they own rather than sharing it with another rider and two-wheelers are relatively unsafe as compared to a four-wheeler taxi. Besides, the service may not become popular with women as they may feel uncomfortable riding pillion with a male driver. A number of startups have addressed this market but had to cease operations in the past two years. Cab-hailing firms Ola and Uber also tried their hands at bike aggregation but they too gave up. However, some experts are optimistic about the sector. “The bike taxi market is evolving. It’s a matter of timing than fundamentals. Culturally, people are not used to the bike taxi concept in India. However, people are getting accustomed to the concept of the sharing economy and the regulatory environment is improving. It’s a matter of time before the pace of growth really picks up for bike taxis,” Ujjwal Chaudhry, engagement manager of consumer internet at research firm RedSeer Consulting, said. With regard to regulations, several states, including Karnataka and Chandigarh, are currently engaging with various stakeholders of the industry to frame favourable laws for bike taxi services. Despite a paucity of investments in the sector and the challenges, some startups have managed to sustain themselves, showing relatively impressive growth. Rapido, Baxi and Bikxie are some of the top-funded players in the segment currently. Though few in number, some startups as well as Ola and Uber launched an auto rickshaw aggregation service. Ola has been operating its auto business for over three years now and is functional across 73 cities with over 1.2 lakh autos on its network. Uber, on the other hand, had discontinued its service, UberAUTO two years ago but relaunched it early this year. UberAUTO was set up in April 2015 in New Delhi, five months after Ola Auto was introduced. However, Uber discontinued the service eight months later owing to some undisclosed ‘specific problems’. The service is currently available in Bengaluru, Pune and Chennai. Apart from these two, Chandigarh-based Jugnoo runs an on-demand autorickshaw service across several Tier-2 and Tier-3 cities in India. There is little doubt that, as income levels rise and the sharing economy becomes more mainstream, the adoption of varying transport aggregator services is bound to grow. However, access to capital and regulatory ambiguities remain big obstacles. While cab-hailing companies have raised plenty of capital from investors, other segments continue to face funding challenges. For the bus and bike taxi aggregation segments, venture capitalists are waiting for the businesses to reach a level of maturity, where there is a proven business use-case, established market potential and enforced regulations. 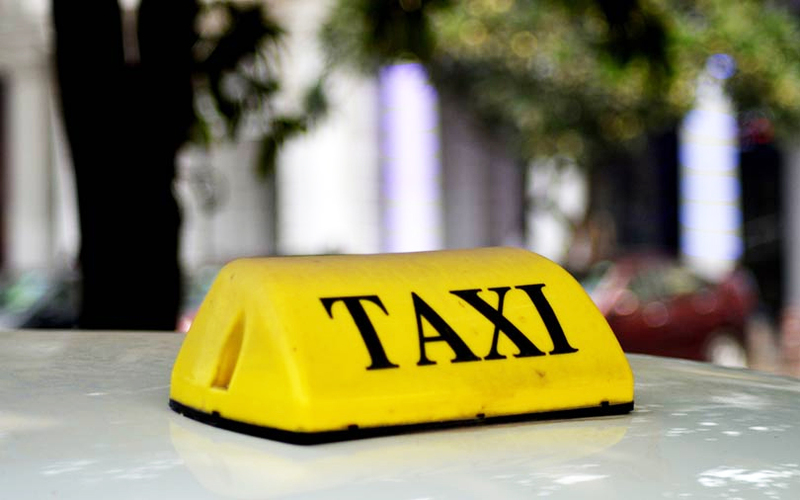 "Some of the early cab aggregators had a very effective way of negotiating with the government. That sort of sophistication is rare and needs to be backed by capital," says Kalagato's Kumar. "It's only regulation that's stopping other modes of aggregation from taking off."